Increased anger against rampant development in 2018 was reflected in two direct actions by Moviment Graffitti activists against the approval of petrol stations outside development zones. Increased civic commitment also led to thousands of objections submitted against numerous projects – people too, were willing to put their money where their mouth is, crowdfunding an appeal filed after the 38-storey-high DB project in Pembroke. The surge in civic activism was also evident in increased activism by old and new local community groups opposing specific developments. 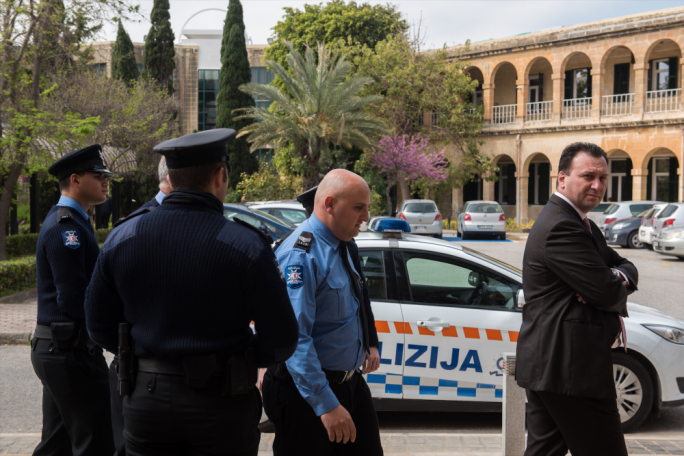 In Zejtun a campaign spearheaded by Wirt iz-Zejtun, led by former Environment and Resources Authority CEO Ruben Abela, was enough to stop government plans to extend an industrial estate into 80,000 sq.m of farmland along Wied iz-Zring. More recently Rabat residents from across the political spectrum united to oppose plans to add two storeys on two picturesque townhouses on Rabat’s Saqqajja Hill. In Naxxar hundreds of objections were also enough to stop a mysterious application to remove soil from an archeologically and ecologically sensitive area in Tal-Wej. Significantly, while government continues to enjoy widespread electoral support, dissent is openly expressed even within the Labour Party’s ranks on land use issues. In some instances, like the development proposed at Saqqaja, even government ministers joined in expressing concern. But this led to situations of conflict within Labour ranks as was the case when Dean Hili, the Labour mayor of Pembroke, found himself voting against a project being pushed by the central government and supported by the government’s representative on the PA board. But the most surprising victory for civil society in 2018 was the successful appeal by eNGOs and the Sliema local council against the approval of a massive 38-storey tower in the heart of Sliema, near Villa Drago. The appeal was one won on policy grounds thanks to detailed and strong legal arguments presented in the appeal. Although developers have now presented plans for a 27-storey tower, the successful appeal showed that big business, even if well connected to the powers that be, can be forced to change plans when faced by solid arguments and firm opposition. Yet the risk is that such victories prove to be ephemeral as developers use the initial outrage to their advantage by getting less flack when developments are scaled down. One such example is Manoel Island where the developers reduced the proposed development by 8,000 sq.m but still plan 610 new apartments. Moreover they are negotiating with government to get an additional 8,000 sq.m that were ‘unused’ in the Tigné development as compensation. But despite garnering a record 4,000 objections and uniting three local councils with different political majorities, civic opposition to major developments hit a brick wall on the DB group’s mega development which has been approved by the PA on land leased by the government. 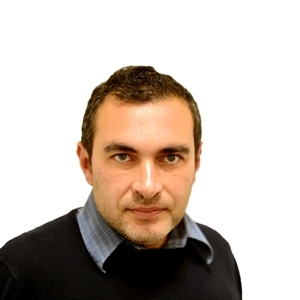 The project was approved despite opposition from the Labour-led Pembroke local council and PA chairman Vince Cassar who considered the project to be excessive and in breach of planning policies. Yet a majority of board members, including ERA chairman Victor Axiak, supported the project despite studies showing considerable shadowing over the residential area during the winter months. In another sign of a resurgent civil society, a crowd-funding initiative saw the public donating €24,350 to present an appeal against the project’s approval. Ironically news that Planning Authority’s CEO had used public funds to transport Jacqueline Gili to Malta from Sicily to participate in the PA vote on the project, may well have served to galvanise opposition to the project. Gili, a representative of the Lands Department who regularly votes for major developments had been absent for 29 of 75 votes in 2017. 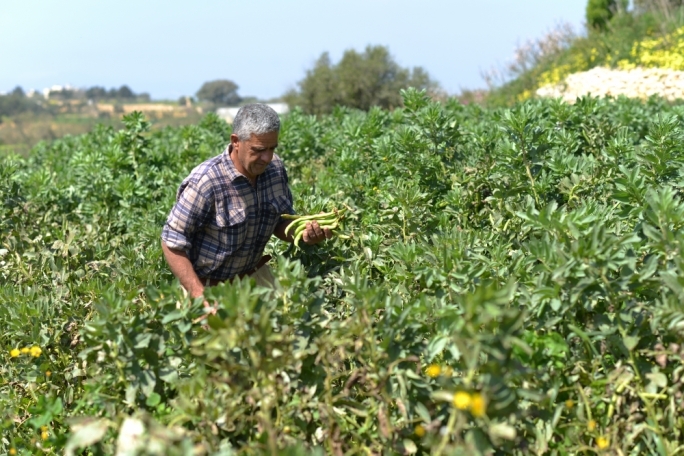 A final decision on the project – which will take place on public land devolved to Silvio Debono’s DB group – is expected next March in what could be another test case for the resilience of civil society and the power of big money over planning decisions. One group which captured the public imagination in 2018 was Moviment Graffiti, mainly due to two protests which stopped PA board meetings discussing the approval of ODZ petrol stations, on 6,000 sq.m of land, in Maghtab and Luqa in 2018. Moreover, a full eleven months after the authorities’ promise to review the Fuel Service Station Policy, changes to this policy still have to be issued for public consultation. The ERA presented its review of the policy last April, recommending that the policy should not allow any new or relocated fuel stations on ODZ land. However, it was only last July, three months after the ERA review, that the PA opened a first public consultation exercise which has to be followed by another two. Clearly the government is not in a rush to change this policy. In the meantime, 12 petrol station applications could end up being judged under the obsolete policy. Road-widening projects over vast tracts of agricultural land have also been approved in Marsa and Santa Lucija with little opposition despite the loss of 15,000 sq.m of agricultural land and 210 cypress trees. A further 11,000 sq.m of agricultural land is set to be lost for widening of the road linking Mosta and Rabat. 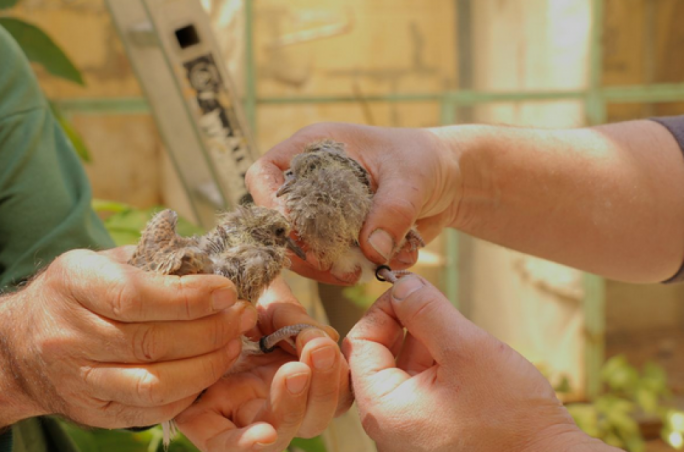 Opposition has been greater with regards to the Central Link project connecting Mrieħel, Attard and Rabat, which led to the formation of the Attard Residents Environmental Network. In the face of a media outrage, the government dropped plans to chop 76 Aleppo pine trees from the Rabat road, but the latest plans still foresee the loss of 60,000 sq.m of farmland. Despite localised opposition, road-widening may still be popular as a way to address traffic congestion in the absence of a mass transit system. Plans have also proceeded with the Gozo tunnel which will have its entrance sited in the picturesque rural environment of the Pwales area, disturbing one of Malta’s most valued natural and cultural landscapes. Moreover the project will create enough construction waste to fuel the land reclamation pipe-dream. 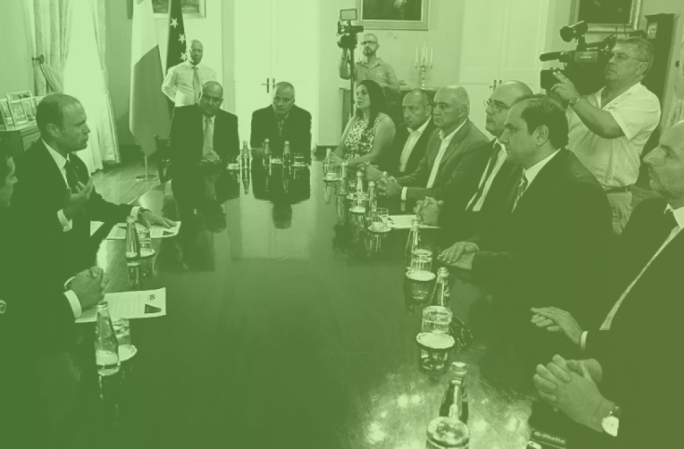 Yet opinion polls show mass support for the Malta Gozo link. This is a clear example where civil society activists may end up confronting majority opinions. This is not an isolated case. For example, motor-racing enthusiasts also form part of civil society even if their demands in terms of land use may appear extravagant for a small island. Yet as the hunting issue has shown, hobbyists can attract considerable public support. This exposes one major contradiction facing environmentalists who often invoke local communities when opposing certain developments. How should they behave on issues where they have minority support? Largely escaping public attention and civil society action, are the cumulative changes to the urban and rural fabric. But this comes as a result of policies which enriched individuals who suddenly found ways to transform countryside ruins into villas and to knock down entire neighbourhood blocks. Added to this is the lasting legacy of the extension of buildings zones in 2006, with new areas like 115,000 sq.m of land in Swatar being proposed for development last year. Tourism may be less of a sacred cow than it was in the past and residents have rallied against a boutique hotel proposed in Saqqaja, which promises additional storeys on one of the elegant townhouses in the area. 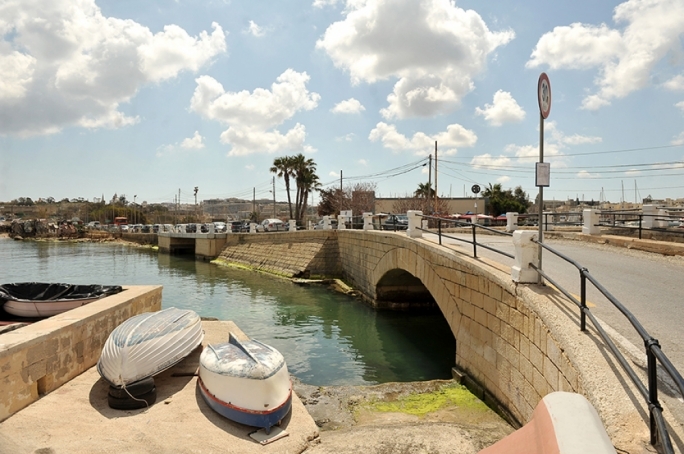 But brand new ODZ hotels have been approved with little opposition in the Kalanka cove in Delimara, near the Marsaxlokk marshland instead of the Hunters Tower, and in Xaghra in Gozo. All found little or no opposition at community level. It is also doubtful whether environmentalists can garner support on issues like land reclamation which may not directly impact on existing local communities. Moreover environmentalists complain of exhaustion and information overload, lacking the energy to fight so many battles at the same time.